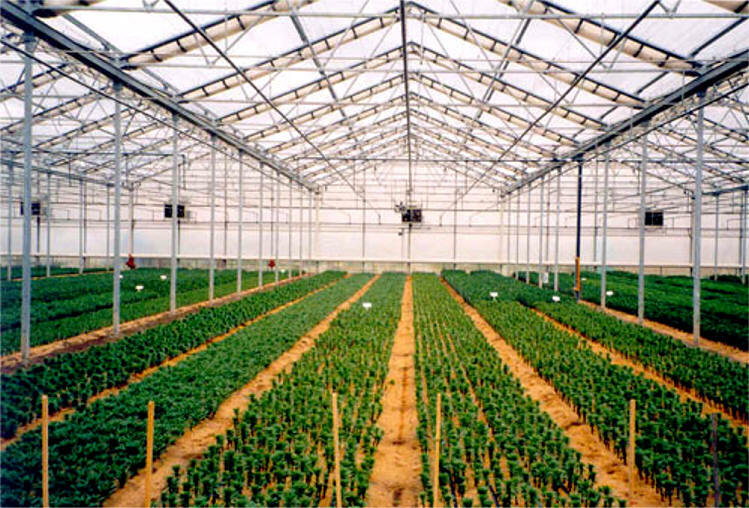 Retractable roof greenhouses can be used for basic protection of crops or as a complete plant production system with stationary or retractable insect screening, curtain systems for shading, heat retention and black out and perimeter walls with roll-up curtains with optional insect screening. 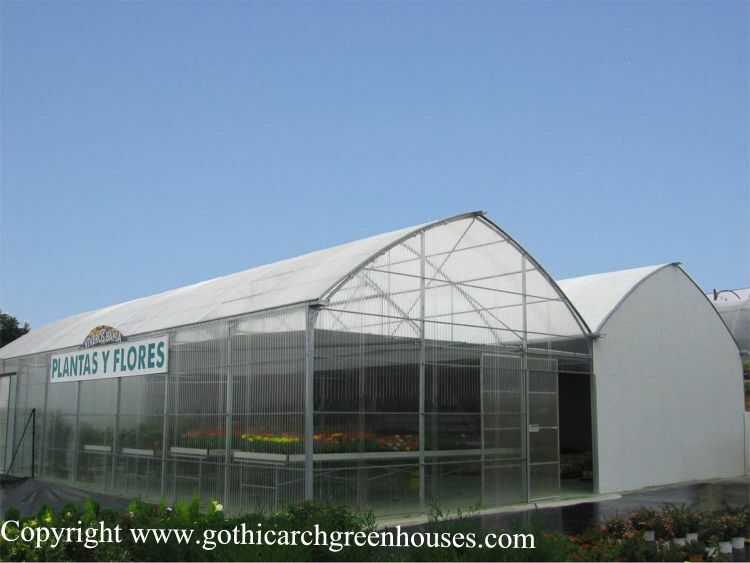 Our retractable roofs are available with either an A-Frame or a Flat Roof profile. 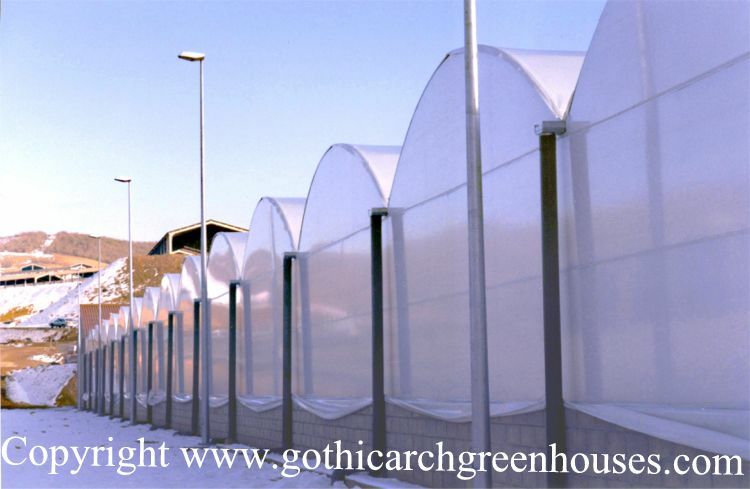 Roofs totally open so that plants receive maximum light and infra-red radiation during the early morning and late afternoon to warm up plants to maximize photosynthesis. 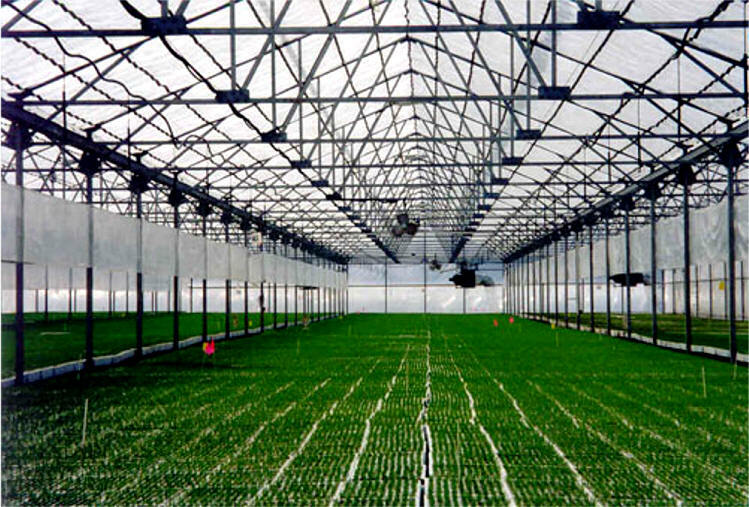 When the retractable roof is a single layer and crops are being heated through the winter, an energy curtain is usually required. 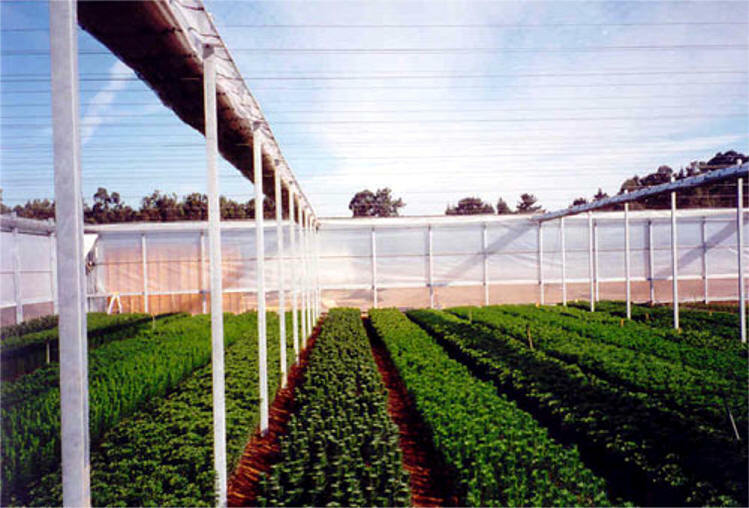 The curtain system can also be used during hot conditions for cooling. 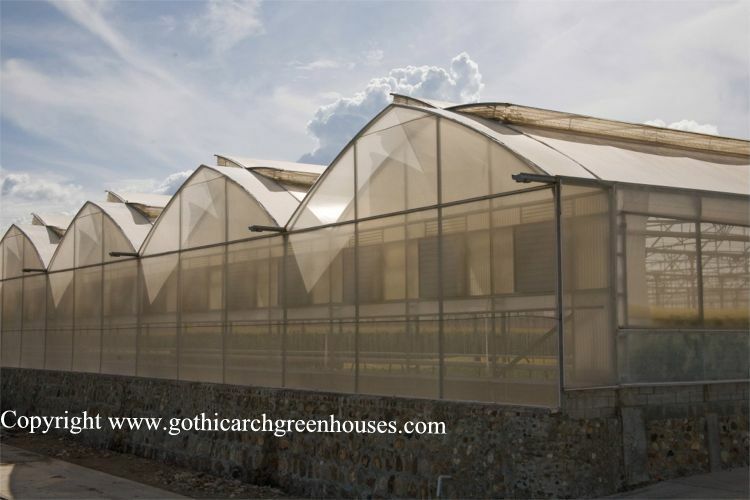 The retractable A frame greenhouse comes in two basic models; the conventional A frame and the low cost A frame Rafter greenhouse. The conventional A-Frame truss is designed for heavy snow and wind loads and has spans that match up with most standard house widths. 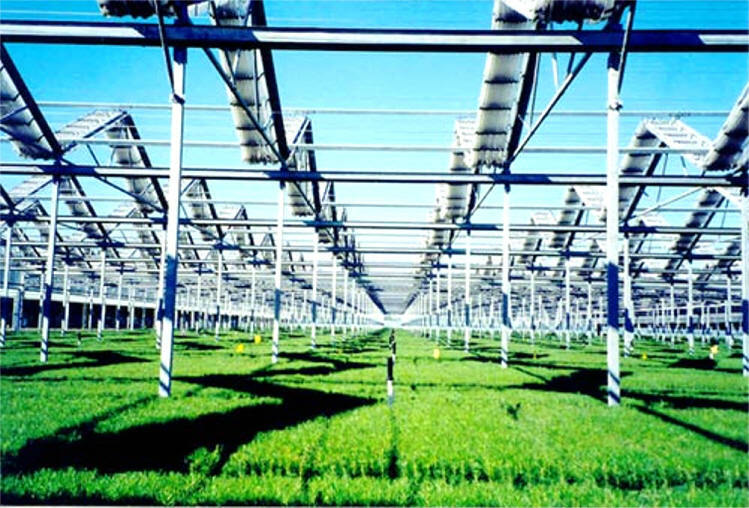 The lower cost A-Frame Rafter house is designed for covering large areas in the sunbelt where crops need to be protected from cold, wind, heat and rain, but there is less snow than in colder climates. 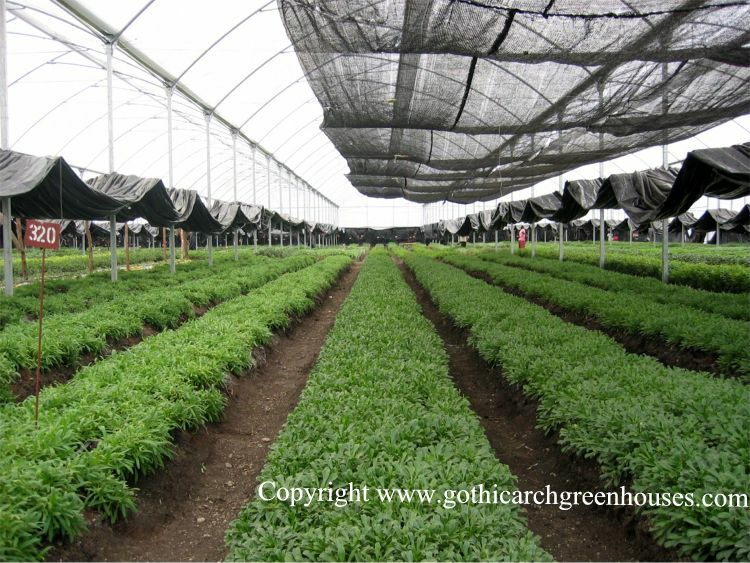 Flat roofs protect plants from excessive cold, wind and heat, but the flat roof cannot keep rain off plants. Best suited for tropical/semi-tropical regions with arid dry conditions.